From the Short Novel: Nastanrh by Rabindranath Tagore. 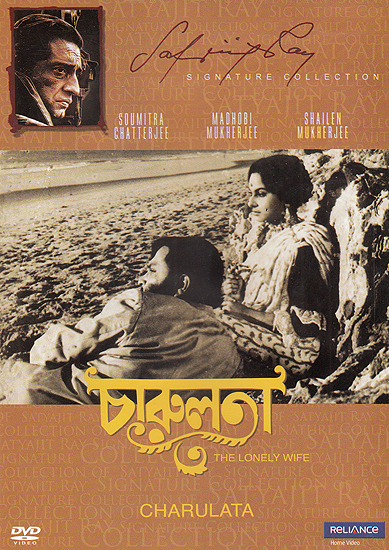 The year is 1880 in Calcutta lives a wealtby young intellectual named Bhupati Dutt who edits and pubishes a political weekly in English called the sentinel Sensing his wife’s loneliness Bhupati decides to summon his brother-in-law Umapada (Charu’s elder brother) and his wife Madakini. The later Bhupati feels would be adequate company for charu. The two arrive as planned Umapada assumes the managership of the sentinel while Madakini chatters away by the side of Charu who continues with her artistic and literary pursuits. Amal proves to be the perfect companion for charu knowing that amal has a literary flair. Bhupati suggests that Amal should help Charu with her literary efforts and encourage whatever talent she might have in her almost without realizing it Charu is drawn more and more towards Amal, Bhupati remains far more concerned with international politics then with domestic problems and Charu’s emotional pattern remains a closed book to hi. At this point Umapada makes away with the funds put at his disposal. The theft is discovered by Bhupati after Umapada’s departure and it completely disillusions him. This betrayed of faith is something beyond his wildest dreams. He sorrowfully relates the incident to the only man be still trusts his dear cousin Amal, Amal own relationship with Charu. The same night Amal leaves a note fro his cousin and sneaks out of the house with his belongings his absence is discovered the following Moring and only by a supreme effort of will in Charu able to conceal her true feelings at Amal’s heartless action. Bhupati reels under the impact of the incredible spectacle and rushes out of the house unable to bear the sight of an unfaithful wife the end of the film finds bhupati returning home having realized that he too must bear part of the responsibility for the profound tragedy that has wreaked his home and happiness.